Driving overseas is very different to driving in the UK and it’s important to be aware of the rules of the road before you start touring. So, we’ve come up with some top tips to help you stay safe when touring abroad. At the approach to some roundabouts in France, you will see a sign 'Vous n'avez pas la priorité'. This shows that traffic on the roundabout has priority. If there is no such sign, traffic entering the roundabout has priority. Other common signs are 'Toutes Directions' (all directions), 'Autres Directions' (other routes) and 'Péage' (toll motorway). In some towns and villages, the speed limit of 50kph/30mph is not signposted, instead the name of the town/village is displayed on a rectangular sign edged in red. This sign signifies that the speed limit is 50kph. At the exit to the town/village, there will be a similar sign edged in black with a red line through the name. Once you have passed this sign, the speed limit increases to what it was before you arrived at the town/village. Pedestrians have priority over vehicles when crossing a road. Pedestrians need to "show a clear intention to cross" described as "an ostensible step forward or a hand gesture". The only exception to this rule is where there is a designated pedestrian crossing less than 50m away. Drivers who ignore this rule and do not stop for pedestrians waiting to cross the road can receive a fine of up to €135. A solid white line down the centre of the road prohibits overtaking. In Spain, this line must not be crossed to execute a left turn, despite the lack of any other 'no left turn' sign. If necessary, proceed to a 'cambio de sentido' (change of direction) sign to turn. Also in Spain, many roads have a single white line on the near (verge) side of the carriageway. This marks a narrow lane for pedestrians and/or cyclists and is not for use as a hard shoulder. A continuous line also indicates 'no stopping', even if it is possible to park entirely off the road. It should not be crossed except in a serious emergency. Halt signs mean halt - on the spot fines are imposed on motorists creeping forward at these signs. When stopping at traffic lights, ensure that you stop soon enough so that you can still see the colour of the lights as they can be to the side or high overhead without a further set in front. In Austria, it is now compulsory to have emergency corridors on all dual carriageways and motorways when there is congestion, this precautionary emergency corridor is created by drivers in the left-hand lane moving as far to the left as they can, and drivers in the right-hand lane moving as far over to the right as they can, leaving a clear path down the middle of the road for the emergency services. A similar system has also been introduced in Slovenia and also in the Czech Republic. The vast majority of overseas holidays pass without incident, however, very occasionally we receive reports from members who have been the victims of robberies or attempted robberies. We would recommend that you always come off motorways to find overnight sites. Unfortunately, as you may have seen in the trade press including our own Club Magazine, it is becoming more and more of a problem that caravans and motorhomes parked overnight on service stations are targeted by thieves who are not deterred by the fact that people are asleep inside the vehicles. 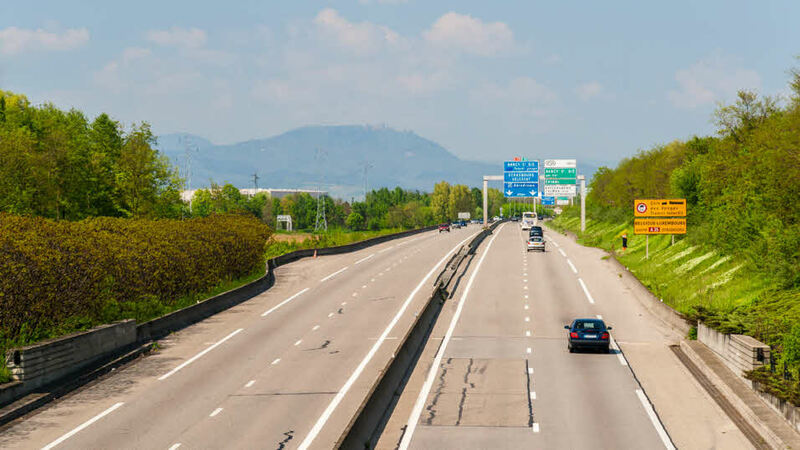 Motorways provide convenient service stations and areas for a rest and a picnic en route but try not to leave the outfit unattended at any time and find a proper site for an overnight stop for your own safety. At service stations members have returned to their vehicles to find that they have a flat tyre, whilst they are changing the tyre “a good Samaritan” offers help and advice and whilst you are distracted their accomplices steal from your vehicle. On motorways / dual carriageways members have reported other vehicles trying to “flag them down” suggesting that there is a problem with the car/ caravan, and in some instances thieves have thrown a small object at the vehicle to try and encourage the drivers to pull over. You should also be wary of approaches by bogus police officers, in plain clothes and travelling in unmarked cars. In all traffic related matters police officers will be in uniform. 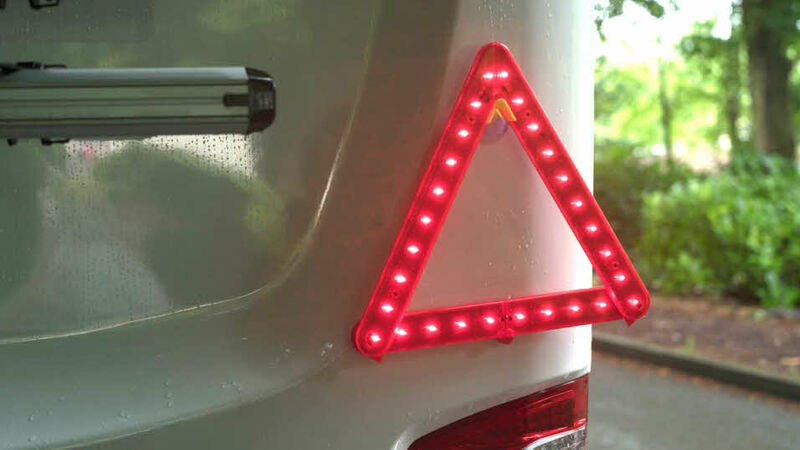 Unmarked vehicles will have a flashing electronic sign on the rear window which reads “Policia” or “Guardia Civil”, and normally have blue flashing lights incorporated into the headlights, which are activated by the Police when they stop you. Only pull over on the motorways and dual carriageways if you are requested to do so by a marked police car. It is very rare for plain clothes policeman in unmarked cars to do traffic stops. If you have any doubts, ask to see identification and call 112. If you are waved at by another vehicle encouraging you to pull over, do not! Only pull over if your outfit/vehicle feels un-safe to drive, and if you do pull over, lock all of your valuables in the glove compartment and then lock your vehicle. When using busy service stations try not to leave your outfit unattended; if you are not driving solo, take it turns to use the facilities and whilst one person pays for the fuel the other person should stay with the vehicle(s). If you notice that you have a flat tyre, make sure all your valuables are out of sight and secure before changing the tyre. Finally, if you are a victim of this type of robbery or attempted robbery please report it by calling 112. If you are in Spain you can call 902 10 21 12 which is number is manned by English speaking staff who will take your statement in English, translate it, then fax/email it to the nearest police station. They will also advise you where the nearest police station is so you can go in and sign your statement. Do not leave wallets/handbags/valuables out in the open. Do not keep all your cards and cash together in one place. Where possible always ensure any windows, ventilation grates and doors are kept firmly fastened or locked. 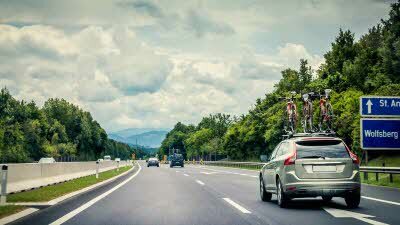 Are the road laws and driving regulations in Europe the same as the UK? No. Legal requirements will vary from country to country so it's important that you read our overseas driving regulations advice before you travel. This information is also printed in the Overseas Touring Guides.